Hello, Everyone & Welcome to November! This beautiful month of changing colors, dancing leaves, crisp mornings and evenings just perfect for a blanket and a fireplace. Daylight is short this time of the year, but if you catch a glimpse of the stars on a cold night, without the haze of summer, they seem to shine more brilliantly than my words can describe. November brings us face to face and heart to heart with gratitude, not that we all aren't grateful every single day, but November has a built-in count down to a day dedicated for giving thanks. I like that about this month. November seems to be a perfect time to reconnect with families and friends, and dust off old recipe books that hold cherished recipes saved for special occasions, like Thanksgiving dinner. Speaking of Thanksgiving dinner, CanUcopia is off to a great start, and we should have no trouble at all reaching and maybe even passing our goal of feeding 15 families this year. If you've seen this project all the way through in years past, you know how amazing it is to see everything being sorted and boxed up to be delivered to Catholic Charities in Durham. 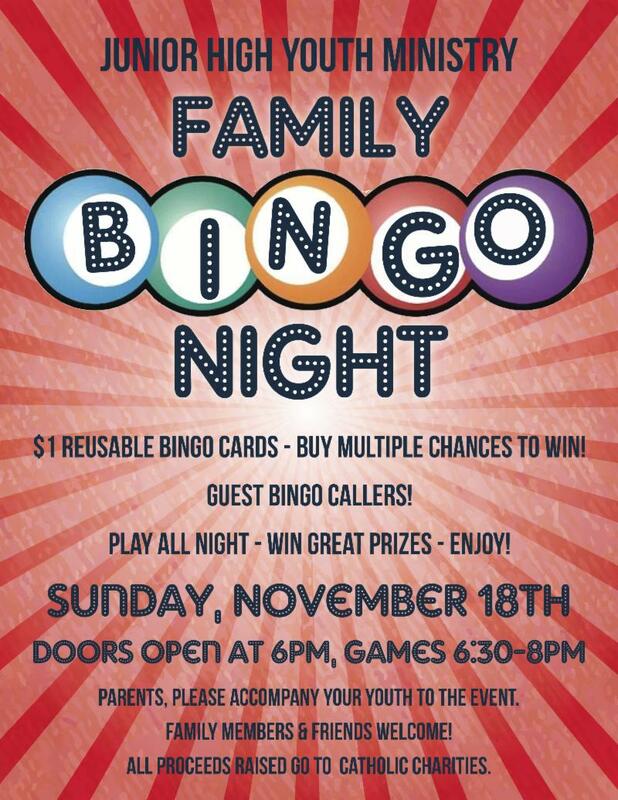 If you haven't seen it, and you're able to stick around after BINGO on the 18th, it is a whirlwind of fun with a purpose. Below is our suggested lesson. This will be printed and in your binders on Sunday evening - along with any hand-outs mentioned. Special hand outs in the binders this weekend will be a 2 part interview with Dr. Chris Clemens answering questions about science and religion. This was a project of the Archdiocese of Atlanta Mark Magazine over the past two editions. 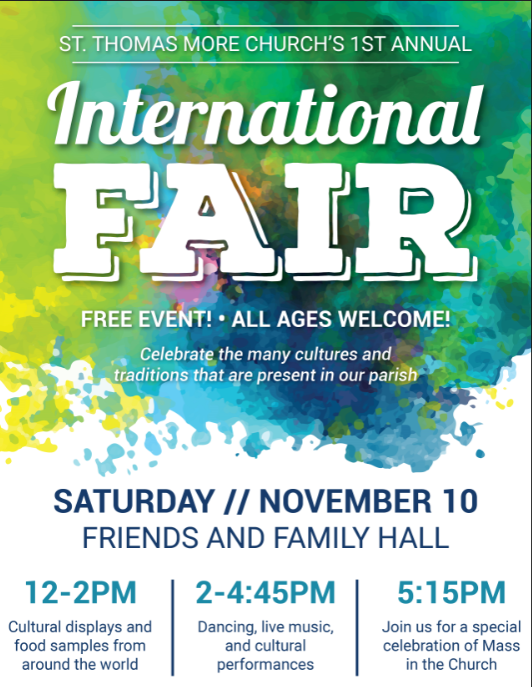 We are still working on a date for our own JYM Science and Religion night, but this is a really good reference as well, so we're sharing! God created the whole universe and we can see proof of His existence in the intricate details of the created world and humanity. Humanity is created by God and for God and will only find true happiness in Him. This is one of my favorite lesson nights. Simply looking up in appreciation of the beauty of this world and the stars beyond is one of my favorite things to do. In years past, some of the groups have taken a little outing to the soccer field behind the middle school and used the Sky Safari or Star Walk apps to identify constellations and planets as part of the lesson. Weather permitting, it's a wonderful way to jump from what's on the screen and paper to the reality of this vast universe. Let me know if you need to use a phone for the app - I'm always looking for a way to join the groups for this night. Since we're talking about creation this weekend, you may want to share this news with your groups. This will gain you access to the computers and internet during Youth Ministry weekends. Select “Youth Ministry” from the top menu bar options on the page. Select “Edge Middle School Resources” from the options on the left of the page. At this point a yellow “Login” box will appear near the top right corner. Once logged in, you are able to view and access the Lifeteen website and use their videos, media, and other resources. PLEASE DON'T ATTEMPT TO CHANGE THE PASSWORDS. IF YOU CANNOT ACCESS SOMETHING, JUST SEND ME A NOTE OR CALL ME. NEVER SAVE PASSWORDS ON THE CLASSROOM COMPUTERS. IF THE COMPUTER WAS ON WHEN YOU ENTERED THE ROOM, PLEASE LEAVE IT ON WHEN ENDING YOUR SESSION. BUT BE SURE YOU’VE LOGGED OUT. 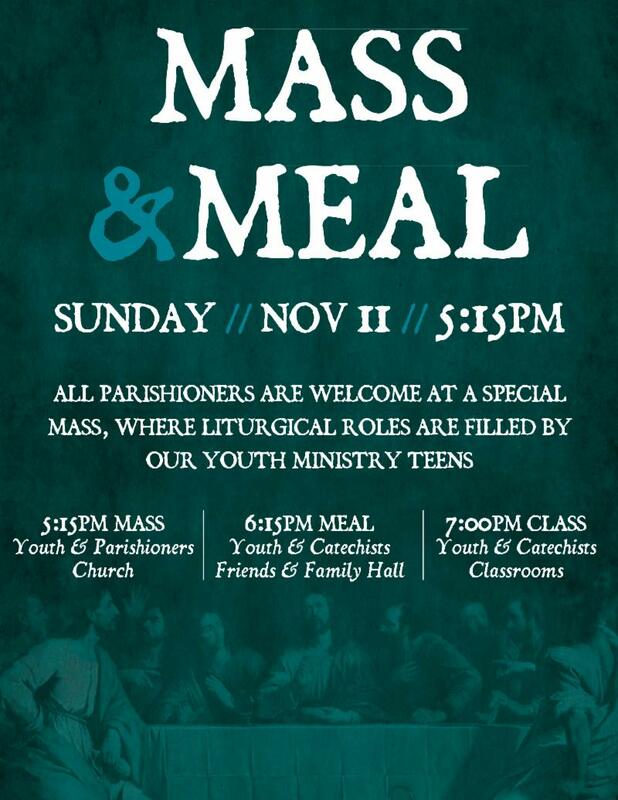 Lots of great things happening in the parish and youth ministry! March for Life Registration will open for 8th graders and older. 6:30pm Youth Ministry Groups meet in the Friends & Family Hall for dinner and to begin the YM part of the evenings. There will be a shortened class this evening. TYC Youth will speak to 8th Graders this evening about March for Life. 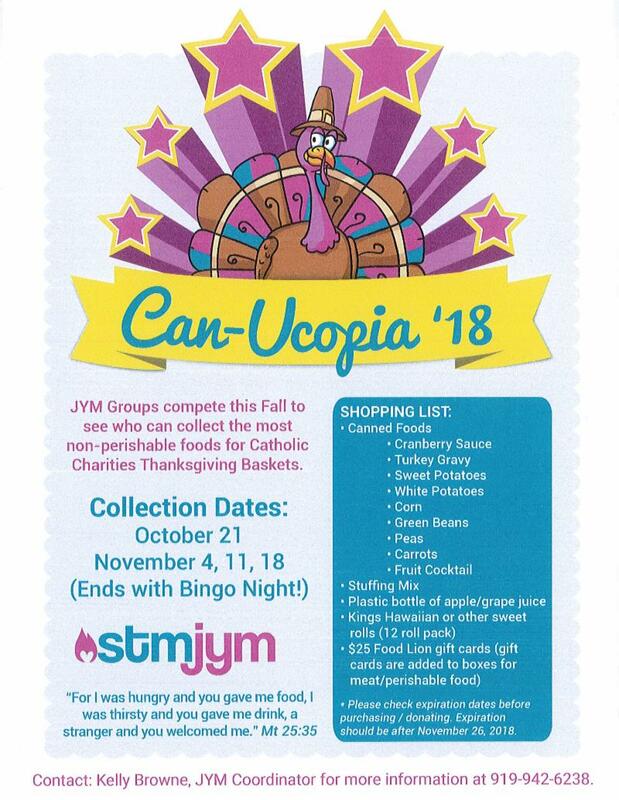 This is the final night of our CanUcopia food collection - if you have a little time following BINGO, stay and help sort the food with some of the youth. It's an amazing whirlwind of activity for a wonderful cause! Advent Sales items will be available for purchase during JYM or other times from the parish office. You all are amazing! THANK YOU for your service and willingness to say ‘yes’ to the young folks in our parish and to one another!